Casablanca is a collection of timeless pattern using a revolutionary space-dyed nylon/polypropylene blend for a silky feel with a depth of color and exceptional durability. Styles range from traditional Persian looks to modern pieces utilizing ikat and medallion motifs. The palette highlights modern pastels like dove grey, warm copper and cool sage while using a sophisticated base of soft neutrals such as ivory and warm cocoa. 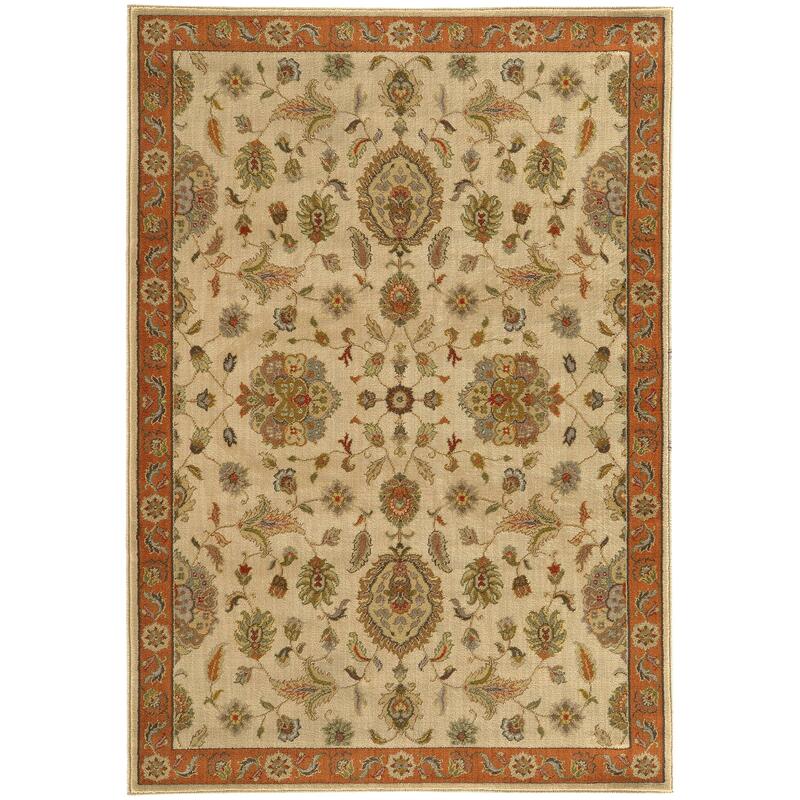 The Casablanca 9'10" X 12'10" Rug by Oriental Weavers at Furniture Mart Colorado in the Denver, Northern Colorado, Fort Morgan, Sterling, CO area. Product availability may vary. Contact us for the most current availability on this product. Browse other items in the Casablanca collection from Furniture Mart Colorado in the Denver, Northern Colorado, Fort Morgan, Sterling, CO area.